The course Real Club de Golf Sotogrande is considered as one of the masterpieces of Robert Trent Jones who chose this course as one of his five favorites from more than 500 courses he designed worldwide according to what he wrote in his book GOLF – THE MANIFICIENT CHALLENGE – published in 1988. Nothing describes better a round on Real Club de Golf Sotogrande than these words. 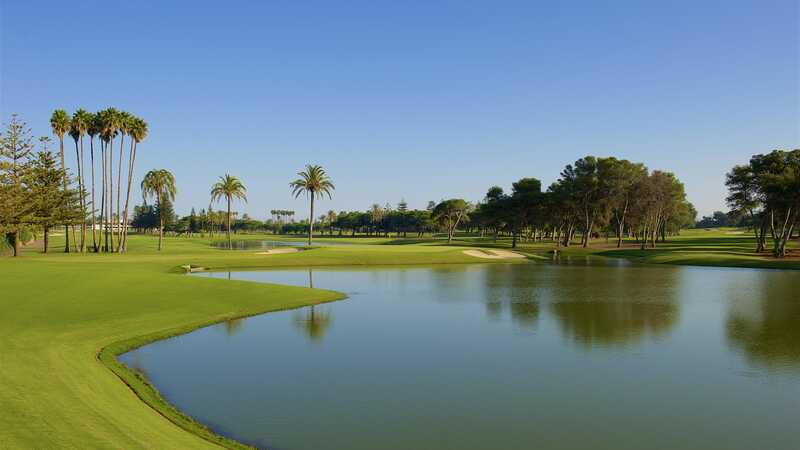 It is a fascinating course for players of any level which retains all the natural beauty of the land on which it was built only 150 metres from the Mediterranean. The course has a par of 72 and measures 6.492 metres. It offers long tees, wide fairways and elevated greens delicately moulded and very fast, which embody the biggest difficulty of the course. Of the 100 or so bunkers on the course 69 are placed around the greens which, warn the player to have great accuracy when attacking the pins. 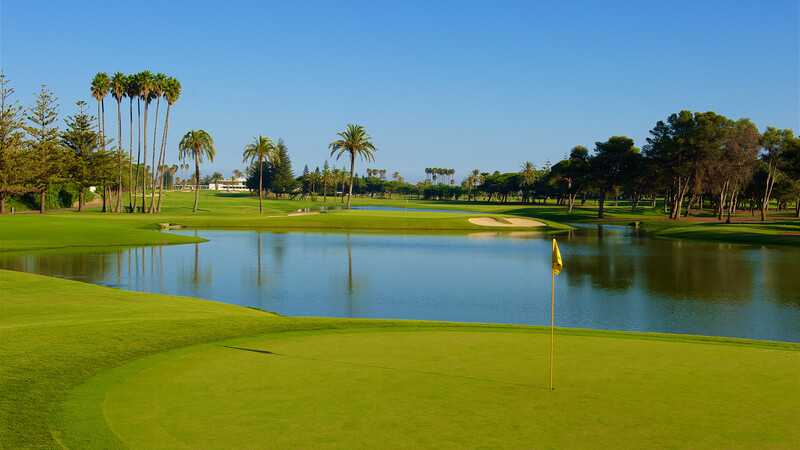 The variety of holes is another characteristic of Real Club de Golf Sotogrande, variety not only in shape and distances but in its vegetation: the mixture of cork oaks, pine trees, palm trees and an abundance of other species, provide the course with a wonderful personality and beauty. 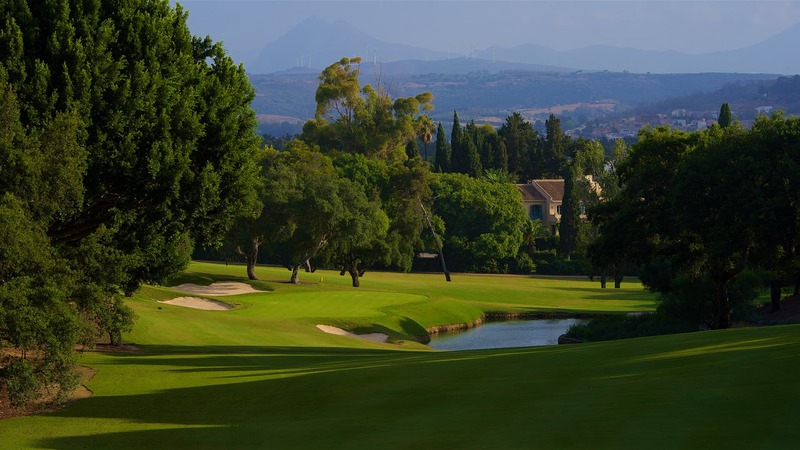 A round of golf on Real Club de Golf Sotogrande is very well balanced. 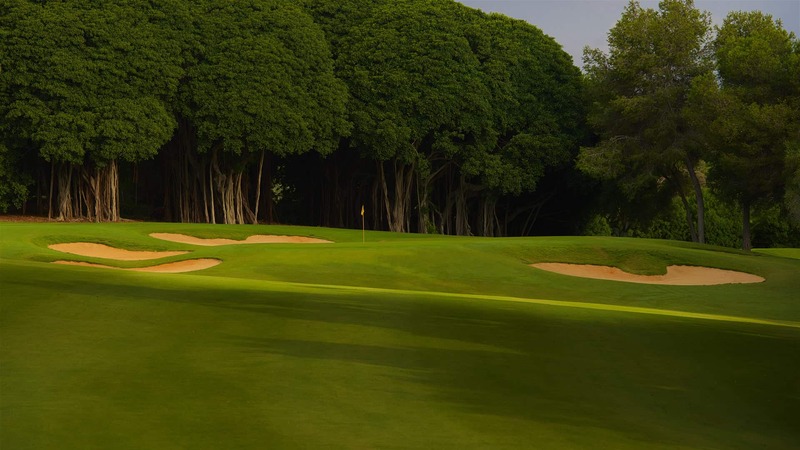 On the front 9 holes 4 and 7 will highlight good examples of the risk factor which Trent Jones rewards by asking the players to choose whether a hole should be a difficult par or an easy bogey. These can also be said of holes 13 and 15 on the back 9.